Kathmandu, Sept 26 . Continuing with the 3rd edition of “Mann Kholau Coke Sanga” campaign, this year Coca-Cola comes with the brand new theme “Saiyoun Sambandha Kaiyoun Bhawana” literally translated to ‘Hundreds of relationships and countless Feelings’. The theme focuses on 16 different human emotions; deriving from major emotions like Maya, Saath, Khusi, Ramailo, Mitrata, Hausala, Shraddha, Milan, Sahayog, Jamghat, and Hanso. This innovative theme is aimed to pay respect to the unique relationships that influence each individual’s lives and feelings. These labels are inserted in the place of the regular labels, out of respect for human emotions and family relations during Dashain. To give the labels a touch of festive glimpse, the artworks and texts on the label are portrayed in golden colours. These packs provide an opportunity to share our excitement and express our sincere feelings to our loved ones. Coca-Cola has been playing a vital role in helping consumers connect with friends and family throughout the year and especially during the times of festive celebration. From a few years back, Coca-Cola has been surprising us with a unique global campaign ‘Share a Coke’, which encourages people to express their feelings to their beloved ones, with a bottle of Coke. The inclusive message behind the campaign is that, Coca-Cola tastes better when shared with a friend, relative or family members and helps to enhance the relationship and bring them together. 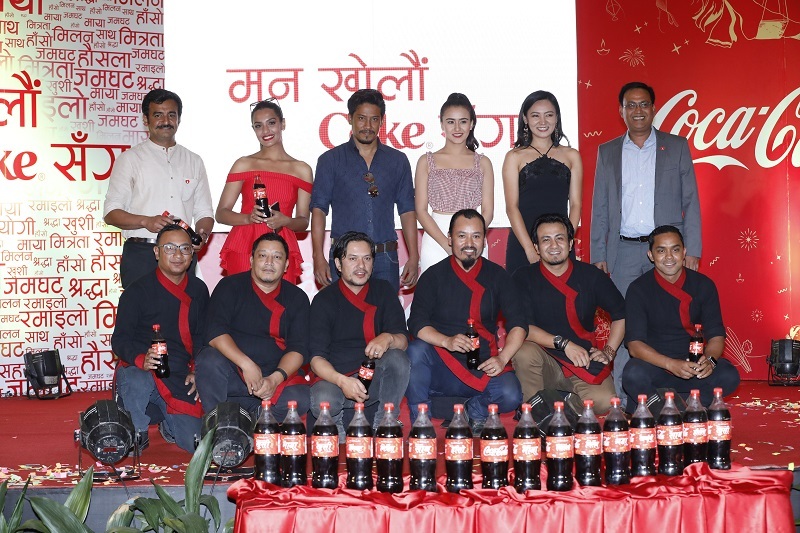 Last year Coca-Cola came up with a special Nepali version of the ‘Share a Coke’ campaign, themed “Mann Kholau Coke Sanga”, which focused especially on relationships, meant to bring family members together and closer. This year taking it a step further, Coca-Cola, encourages consumers to share their feelings with their loved ones. focused on the theme of human emotions with the tagline of “Saiyoun Sambandha Kaiyoun Bhawana”. Speaking about the campaign, Mr. Ambuj Singh, Country Director of Coca-Cola in Nepal states, ” with the objective of making the festival season, a little more special for our consumers all across Nepal, Coca-Cola in its own humble way, brings to you ‘Mann Kholaun Coke Sanga’. In previous years, we celebrated relationships, this year we encourage consumers to share a coke and share a feeling with their loved ones. On Coca-Cola bottles, consumers will find special emotions like Maya, Saath, Mitrata, Milan, Sahayog, Shraddhaetc, that they can share with their family and friends and express their feelings. Mr. Pradip Pandey, Managing Director of Bottlers Nepal Limited states, “I am extremely happy to announce the special version of this year’s Dashain campaign. It’s an honor and privilege to be part of an organization that deeply cares about its employees and customers. “Saiyoun Sambandha Kaiyoun Bhawana” is not just a tagline; it is a way to express our feelings and emotions to make strong relationships with our loved ones. We are happy Coca-Cola can add more value to relationships now with these special labels for your loved ones. During the event, Priyanka Karki presented her driver with a Coke bottle with the label that reads “SadhaiSahayogiHaathBadhayekoma”. SwastimaKhadka expressed her love for her husband Nischal by giving him a Coke labeled “Nischal Maya kalaagi”. 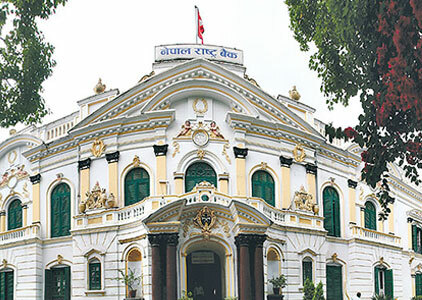 Whereas Nischal Basnet gave her wife Swastima a Coke with the label “Sukhadukhakosaathkalaagi”. The band members of Kutumba gave each other Coke bottles with the labels like “Atutsaathkolaagi”, “Na DekhinetiHausalaKalaagi”, “SadhaiKhushiRakheko Ma”, “RamailaTiJhamghatKalaagi”, “ChulbuleMitrataKaLaagi” and “Timichhau ta haanso Cha”.